Replacements Rings Are Designed For Pacon 50" X 28" Chart Stands And 64" X 28" Chart Stands. Rings Hold Chart Tablets, Pocket Charts, Easel Pads And More For Displaying In Classroom And Other Presentation Venues. The 4" Chart Stand Rings Are Made Of Metal..
Replacements Rings Are Designed For Pacon 50" X 28" Chart Stands And 64" X 28" Chart Stands. Rings Hold Chart Tablets, Pocket Charts, Easel Pads And More For Displaying In Classroom And Other Presentation Venues. 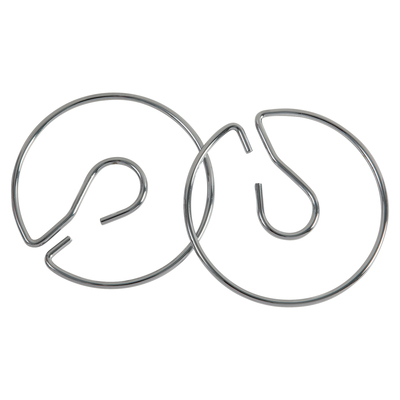 The 4" Chart Stand Rings Are Made Of Metal.